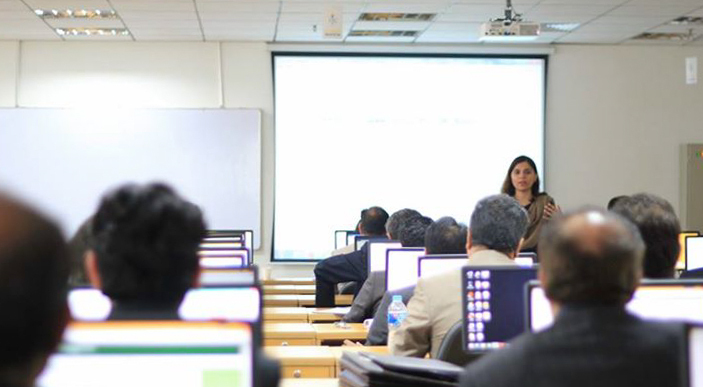 Neighborhood for Emerging-World Technologies-LUMS, the Information Technology University (ITU-Punjab) and the Punjab Information Technology Board (PITB) organized the first ever hands-on cloud computing workshop in Pakistan on 17th – 21st April, 2013 at Arfa Software Technology Park. This workshop had an aim to train professionals from the local software industry on the design and implementation of large-scale distributed systems and cloud computing technologies. Zubair Nabi has degrees in Engineering and Computer Science from NU-FAST, LUMS, and Cambridge. He is currently a part of the faculty at ITU, Punjab. Zubair’s research interests broadly include datacenter networks, data intensive computing, and cloud computing. On and off, he also likes to dabble in pervasive computing, p2p systems, VANETs, and the semantic web. In addition, he is also an open-source buff and has contributed to a number of open source projects. Most notably, over the course of multiple Google Summers of Code, he has been involved in the development of a global Internet connectivity monitor that leverages crowd-sourcing of desktop and mobile devices to act as a watch-dog against Internet censorship. He is currently working on MR+, a radically new and improved implementation of Google’s MapReduce paradigm, and Polyversal TCP, an evolutionary version of TCP that embraces network heterogeneity to allow transport customization. He strongly believes that the future of computing lies in Cloud Computing and Big Data; the power of both can be leveraged to enable unprecedented data analytics to improve the human condition. Using this workshop as a conduit, he aims to equip practitioners from the local software industry with the right tools to ride the Cloud Computing and Big Data wave.